I’ve never been the kind of person who deliberately breaks rules unless it’s for a very serious reason. When I sign up for a website, I try to follow the rules. So having my account suspended twice in the last week was very shocking. Having your account suspended on a social media website sounds very shady. People think you must have done something really wrong. Twitter suspensions are actually quite common. Happily Twitter is very forgiving, if you seem to be a legit account and you innocently broke the rules. 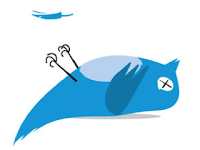 Much has been made about the suspensions of conservative tweeters in recent months. Although I think left-wing leaning had a part to play with it, I don’t think this a conspiracy on the part of Twitter to censor conservatives. I just think that Twitter works in the leftist’s favour. So I’m here to tell my story so that you don’t get your account suspended. I think a little background information is in order. I read and posted quite a lot on the #prolife hash tag. The regulars, both pro-life and pro-abortion, tweet each other all the time, without following each other. As far as I know nobody on the #prolife hash tag was ever suspended. This is considered par for the course on that hashtag. As the vote for M312 approached, I read the #m312 hashtag and posted to it quite a bit, often in response to statement made by pro-aborts I was not following. I figured: if they're posting on a hashtag, their tweet is fair game for response. So I made very many such responses. And that was the reason behind the first account suspension: sending multiple unsolicited @replies. These were flagged when I was blocked or reported as spam. When your account is suspended from Twitter, you are not told why your account is suspended. So you have to guess. I guessed correctly, but I was a bit confused, because if you post on a hashtag, then, in my mind, that should make you fair game for a response. My first account suspension was dealt with fairly rapidly. I had to promise not to send unsolicited @replies again when I signed in for the first time. To avoid future trouble, I said to myself: I will no longer reply to anyone on #m312 who does not talk to me first. That way, they can’t say it’s unsolicited. That was the worst thing I could have done. The flagging system uses an algorithm. If, after the first suspension, the computer sees you talking to other non-followers and they block you, that counts as spam, even if they replied to you first. And on top of that, it takes far fewer @replies to alert the system. It's unfair, but that's the way it works. While the M312 vote was taking place, I was tweeting people I don't follow left, right and center because a lot of them engaged me first. So I was blocked, and my account was suspended again. I don’t think this was a conspiracy. I think what happens is that people on the pro-abortion side of the debate do not tolerate dissenting opinion very well, or they posted on #m312 and did not expect anyone to answer back. Leftists tend to block out dissenting opinion more than right-wingers. They also have a thinner skin on the abortion debate. So I think what happens is that the Twitter system favours their sensitivities, and penalizes adamant right-wingers. The lesson learned here is that if you piss off people a lot, and you post a lot of @replies to people you do not follow and then they decide to block you for something you said, your account will be suspended. I’m not sure how to approach tweeting at this stage because I’m on a bit of a short leash. I’ve read that when it comes to Twitter account suspensions, three time’s a charm. I have no desire to follow pro-abortion people and I’ve hit a follow wall in any event (i.e. I can’t follow any more people). I know there are pro-abortion tweeters who are “trustworthy” i.e. won’t block me, but maybe after this blogpost they might, who knows? It used to be on twitter than almost anything goes. Those days are long gone. Help! My Twitter Account is Suspended!! Does Twitter Unfairly Suspend Accounts For Trying To Engage Others?